Hi friends! It’s starting to heat up out there – at least it is for those of us in sunny Arizona! Time to break out the lemonade and popsicles, right? 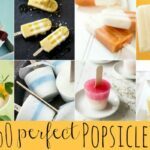 A few weeks ago I shared 50 Perfect Popsicles – The Ultimate Summer Survival Guide and today I’m sharing part of the reason why I put that post together. We recently received a Zoku Original Quick Pop Maker for review! 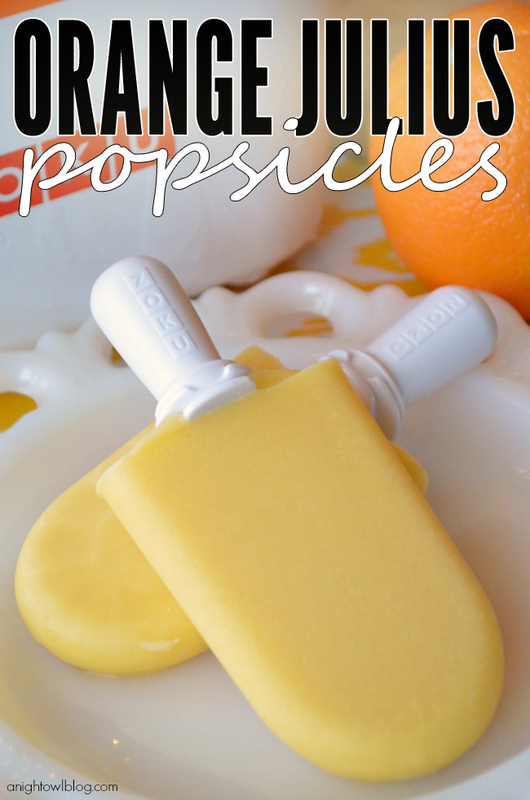 And you know that I had to put some research into what yummy popsicles we could make at home and we’re even sharing our own Orange Julius Popsicles recipe! Do you love Orange Julius drinks? 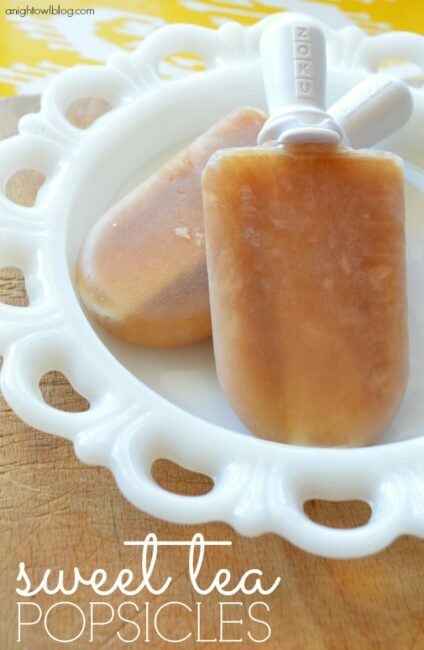 Then you'll love these quick and easy, homemade popsicles! In a bowl, stir together orange juice concentrate, milk, water, sugar and vanilla until well mixed. Pour orange mixture into Zoku Original Quick Pop Maker and wait 7 minutes or until frozen. Using the Super Tool, remove the popsicle from the maker and enjoy! 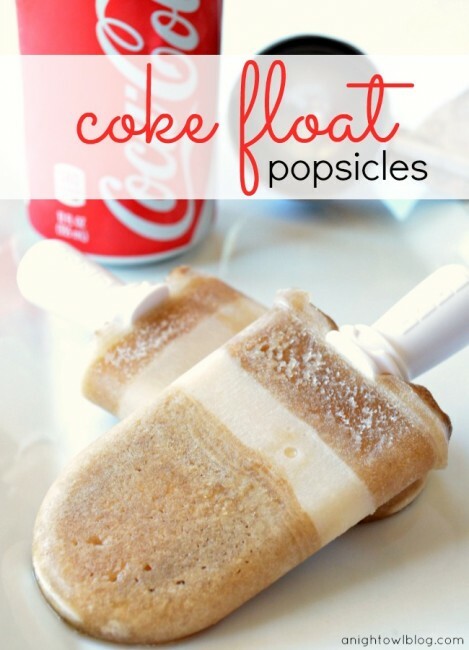 Note: you can use this recipe with regular popsicle molds; allow to freeze as usual. So now are you excited about the Zoku Original Quick Pop Maker? You should be! It’s just such a fun little device to have. And no cords or electricity to mess with. Just stick it in your freezer and you’re ready to make popsicles in minutes, anytime! Be sure to check out Zoku and all the fun products they have to offer! Click here to buy your very OWN Zoku Quick Pop Maker! It’s my favorite kitchen gadget during the Summer! I love popsicles and I would love to be able to make my own. Thanks for the giveaway! I’ve wanted one of these since I first saw them. My kids (and me) would LOVE this! Yum! I love popsicles and it’s hot here in Las Vegas too! Would love to try this machine out! Thanks! My daughter loves popsicles and she would have so much fun with this! my husband loves popsicles….and our cat likes to have the last lick or two. and we live in florida so we love anything to help cool us down in the summer. 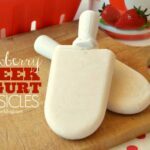 I want to make healthy greek yogurt pops! 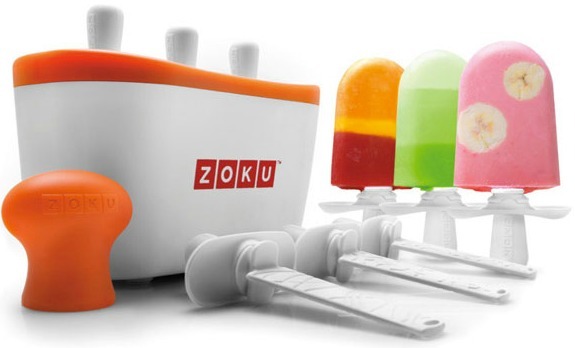 I have been eyeing this zoku popsicle machine for awhile – would love to try it out! this looks AWESOME!! and we finally are almost rid of all of our snow, yipee! So popsicles are in our near future! This looks wonderful…I would love to have, my grandson (3) would love to help me eat the pops! How fun! I would love to have any popsicle flavor that I fancy at a moments notice. I’m sure my little man would LOVE this too! I would love to make quick popsicles for my kids! 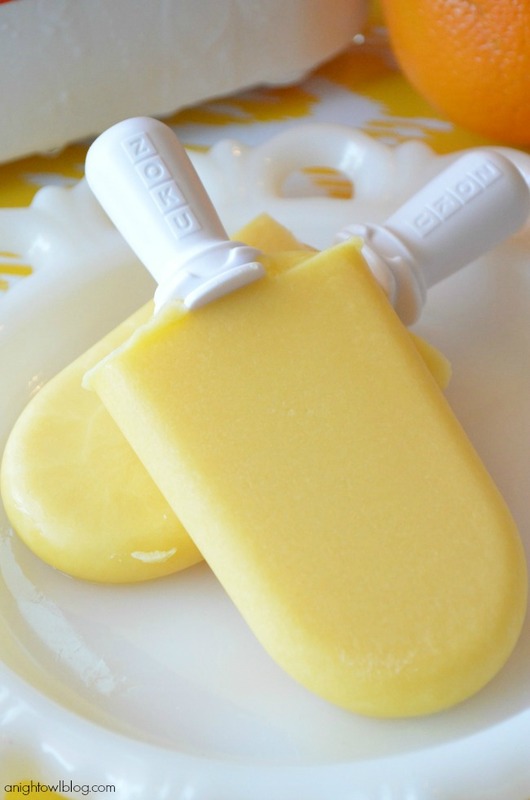 I love making popsicles and to win a Zoku would make this process so much easier! Thanks for doing a review about this! I heard about Zoku awhile ago but had forgotten the name recently. Really want one of these! It looks really fun to use, and fast & easy too. I love popsicles and it’d be fun to come up with my own flavor combinations. My girl would be over the moon to have popsicles made at home! As a fellow resident of Arizona, my kids are constantly asking for popsicles. I have the regular, freeze all day kind of molds, but this would be so great! 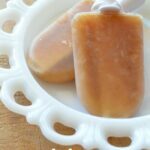 I’ve been wanting one of those so badly … we love homemade popsicles because you can make them so much healthier! I want to win because I know my 3 year old would have a blast making these with me! And we are on a quest to eat “real” food. I want to win because I like the idea of making popsicles at home; I can control what goes into them. I want to win because I’d love to make some homemade yogurt, fruit, and granola pops!! i LOVE popsicles. and ice cream. i make ice cream all the time, but have been craving some fresh fruit popsicles and would love to give zoku a chance! Popsicles are a staple in my house. Being able to make them quickly would be much better than stocking up on them at the store. Been wanting one of these since you 1st posted about using one to make at home Popsicles quickly & easily! How great would it be to be able to whip up some tasty frozen sweet treats in no time flat! These are so cool! Definitely going on the wish list! Thanks for showing them and for the giveaway. I was interested! this has been on my wish list for a while. i love these. i could make summer treats for the kids that are actually healthy…and they wouldnt care they would just think they were just amazing popcicles they helped make lol. I would love to have a nice popcycle maker – I only have an old Tupperware one! My kids would put this to good use this summer! Thanks for the chance to win! I wanted one of these for a while! Thanks for the chance to win. I like making ice pops. With the sunny weather here in HI, everyday is a good day for an ice pop! My son would love these! Holy crow! How awesome. When I was a kid, my favorite thing was Jello pudding pops, which sadly don’t exist anymore. With one of these, I could make them and live in Jello pudding pop heaven!!! 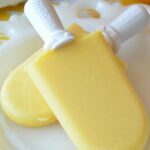 I don’t usually buy popsicles because I don’t like to give my kids all the corn syrup and dyes, but they would love some healthier, homemade ones. Especially in the hot summer here in Florida! I would love to be able to make my own popsicles! I want to make some delicious ice pops! I’ve been dying to make some lately given the warm weather that has FINALLY reached NYC! This would be awesome for the summer! Making my own popsicles would be healthier than those sold at stores with so much sugar. I’d love to win this so I can experiment with healthy Popsicle recipes. My kids love Popsicles!! I would feel better knowing what was in them by making them myself. This is such a neat thing to make popsicles!! Love it. I would love to win so I could make my own popsicles with healthier ingredients. I’d love to win because the popsicles I eat now don’t have the healthiest ingredients and homemade ones would probably taste so much better. 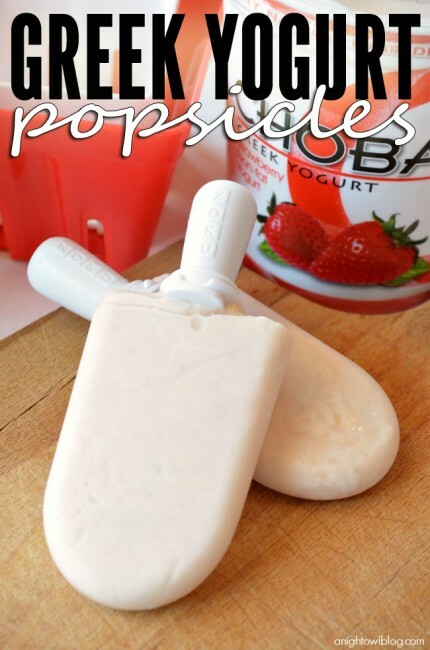 Will be making these ASAP, wining a zoku would make it all the sweeter! My 2 boys love popsicles! But they hate having to wait for them to freeze! A Zoku would make it much quicker! My kids would love this. Looks so fun? I’d love to make these for my kids! I would love to be able to make popsicles with less sugar and fresh fruits for my darling daughter. I would love to make my own healthier version of popsicles. This sounds great! My sister has a Zoku and I would love to win one for myself! Love being able to experiment with different flavors and fruit. I absolutely love popsicles…they are so fun and there are so many great flavors to try! 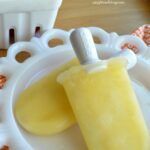 I’d love to make popsicles to cool off for the upcoming stifling hot Arizona days! I got one of these for my sister last year, and have been jealous ever since – I would love to win! Thanks for the giveaway! We eat popsicles here year round…and making them at home has been our usual since I don’t want my family to eat the chemicals and cr*p that’s in the usual box from the store! I can’t eat many, many things due to dietary restrictions. I would really love to win this, as it could let me make some really fabulous low-fat popsicles! I have seen this Zoku maker in the Williams Sonoma catalog for over a year & every time I say that I want it but still haven’t ordered it. I would love to make homemade fresh Popsicles and treats during the summer months for my family and friends. It would be fun to make Popsicles with the family, creating flavors and combinations. My girls would love this after school & after soccer in this AZ heat! Me too! A mid-am mom treat! I’d love to be able to share treats with my daughter this summer, but save money AND have them be healthy too! I would love to win because I have 4 kids and they love popsicles, it would be fun to make our own and make whatever flavors we wanted. I want to win because I live in Florida and I eat ALOT of popsicles all year round. I am known as the “Popsicle Person” because I always seem to have one in my hand. This sounds like a super fun way to cool off this summer. I would love to make some for my beautiful grandchildren. They come over quite often. I love it! My sons and I love to make popsicles in the summertime! It sounds wonderful! It would be a super fast way to make a healthy treat! I have never tried making my own and I would love to! What a cool product!! Loved Orange Julius when I was a kid!!! 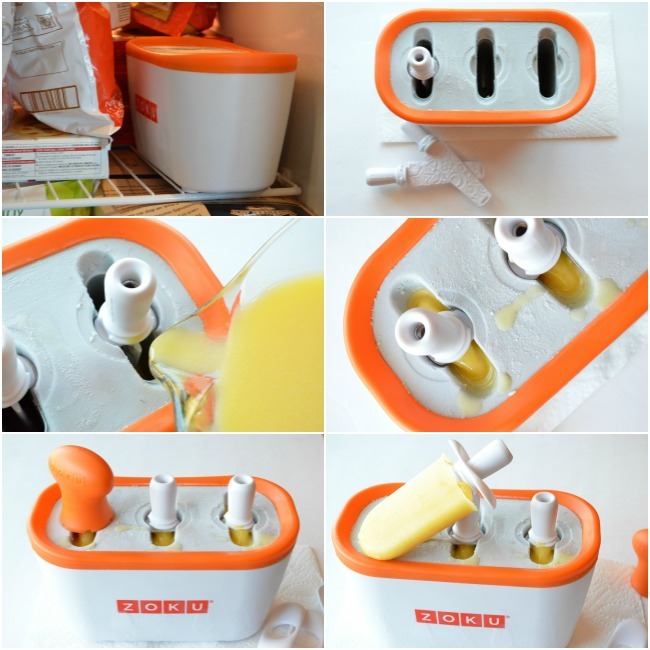 Now I want this Zoku just to make the Orange Julius popsicles! I LOVE orange julius! They remind me of visiting my aunt and uncle in Florida several years ago 🙂 a Zoku seems like it would make the perfect summer treats! yum yum yum yum yummmmmm. My kids would love this for the upcoming HOT summer! My tribe would love this…! Thanks! Would love to be able to make my own popsicles at home! What a refreshing treat these would be on a hot summer day! I’d love it if you would share this at my Saturday Spotlight link party. These look divine Kim! I think I’m going to try & use the recipe to make a smoothie too! Thank you Savannah! You have to give them a try, they’re so yummy!